JERUSALEM -- The Israeli prime minister has barred all Cabinet ministers and Jewish lawmakers from visiting a sensitive Jerusalem holy site, fearing any high-profile spectacle could further enflame tensions that have gripped the country for weeks, an Israeli government official said Thursday. Benjamin Netanyahu's move to try and calm the situation puts the Israeli leader on a collision course with hard-liners within his own governing coalition. They have been putting intense pressure on Netanyahu to respond to the surge in violence with a tough crackdown and increased settlement activity. But Netanyahu is also wary of angering the American administration and risking another full-fledged uprising with too tough a response that could lead to a higher number of casualties on both sides. The Jerusalem hilltop compound lies at the heart of recent tensions. It's revered by Muslims as the spot where Prophet Muhammad ascended to heaven and by Jews as the site of the two Jewish biblical Temples. Many Palestinians believe Israel is trying to expand Jewish presence at the site, a claim Israel adamantly denies and considers slanderous. Under a longstanding arrangement administered by Islamic authorities, Jews are allowed to visit the site during certain hours but not pray there. Netanyahu ordered the ban because he was concerned that any visits to the site could spark further violence, according to the Israeli official, who spoke on condition of anonymity under regulations. In 2000, then-opposition leader Ariel Sharon visited the Temple Mount shortly before the second Palestinian intifada erupted. 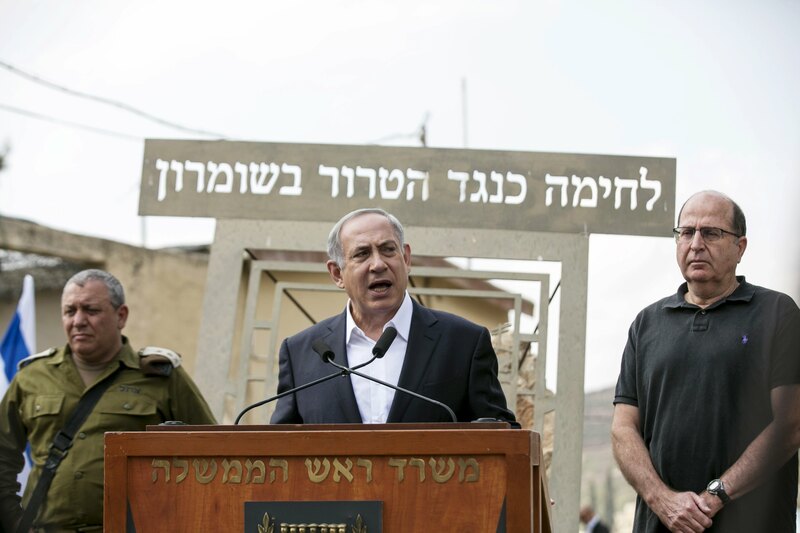 The new Netanyahu directive sparked an angry response from Uri Ariel, a Cabinet minister from the pro-settler Jewish Home party, who recently visited the site and drew Palestinian claims of a provocation. He said on Thursday that he would take the issue up directly with Netanyahu. The latest Israeli-Palestinian unrest began three weeks ago and has spread from the confines of the sensitive Jerusalem holy site to several locations in Israel and the West Bank. In all, four Israelis have been killed in stabbings by Palestinian attackers and a roadside shooting in recent days, while five Palestinians, including three of the attackers, have been killed. On Wednesday, new stabbings occurred outside a crowded mall in central Israel, in a southern Israeli town and in the Old City of Jerusalem. With the attacks spilling into the Israeli heartland, Netanyahu has warned Israelis to be on guard. In another sign of the tensions, Jerusalem Mayor Nir Barkat was seen carrying an assault rifle while visiting an Arab neighborhood. Barkat, a former military officer and licensed gun owner, defended his decision to carry a weapon and on Thursday he encouraged other licensed gun owners to also carry their weapons at this tense time. In related developments, Jerusalem's junior high and high schools went on strike Thursday to protest the lack of security on campuses. Barkat said the city's students have been "abandoned" and that it was irresponsible to send them to school with the threat of violence looming.